So I sold books online in 1998 in Turkey through yokyok.com after Amazon paved the way for my first entrepreneurial activity. After engaging with some real technology in Silicon Valley for a while, it was again time to do some stealing, err, cross border tech transfer. I paid programmers a ton of cash on Elance to create a digg.com (yalanyok.com) in 2005, podshow.com (never found a Turkish name for that) in 2007, and woot.com (yokyok.com would have been equally appropriate) in 2009. Occasionally I reached out to the companies themselves at their infancy (after all the exchange down below would not have been possible today unless my name was Blankfein) because it was getting ridiculous to manage Elance folks for vanity projects (never mind the top dollar) that did not go anywhere. I will invest in your team if you take one of the proven ecommerce ideas from the US and can execute it in your country. If there are competitors, please also tell me why you will be more successful as internet opportunities tend to favor/skew the field towards a number one, and perhaps a number two. 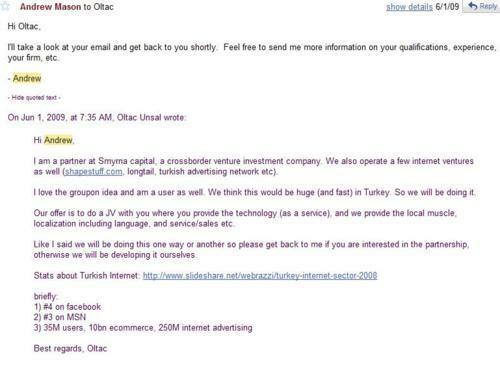 I still have my baby yokyok.com and it will dominate Turkish ecommerce again one day. I also have a ton of connections for high level business development. So besides investing as outlined above, I will also help to make you #1. So please do not send emails saying you want yokyok.com – it is NOT FOR SALE. Send emails saying what you want to do with it – you really want me as your partner and funder. 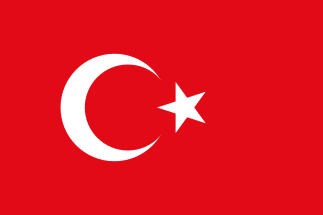 Heck, I even have a woot.com clone that uses Joomla/VirtueMart, and can get you marked-down items from well known stores (Koctas for instance) – and last I checked there is no woot.com (I estimate their 2010 US revenue over $200 million) in Turkey.